Are there are certain items in your home that you’re not too crazy about? Tangled cords, ugleh air vents, that creaky old air conditioner? There are certain household items that most of us would rather not look at every day! Nothing ruins the look of a living space quite like a bunch of tangled electric cords! Thankfully, you can conceal these eyesores with a vareity of apartment hacks! One is to stack several books in the space between the TV and the console to keep the cables out of sight. 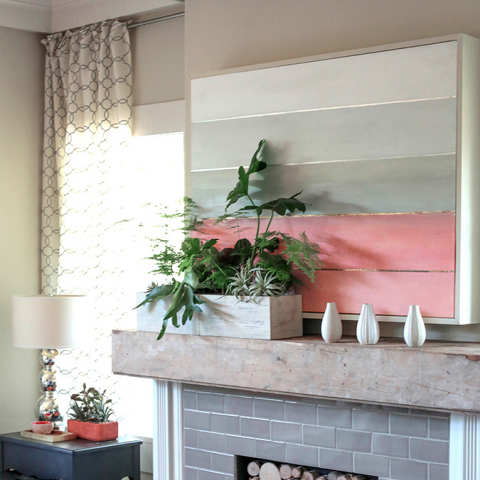 You can also prop an artwork in the same spot to cover the TV cords. Love DIYs? Try using trim work with channels to conceal the electric cords. A hollow shelf made from crown molding also works to keep your entertainment area looking nice and neat! Oddly placed light switches making your eye itch? Try building a photo wall gallery over it! 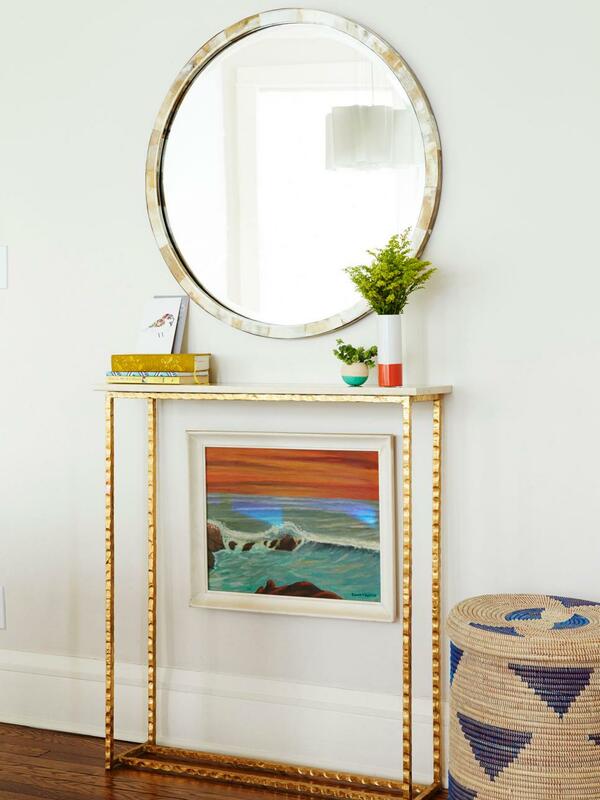 Just hang several photos on the wall, including a funky mirror, and paintings in different sizes, and you’re done! Apart from making a terrific focal point, the photo collage covered up the weird light switch nicely. Hate your walls’ 80s-style textured treatment? You can’t make this ugly go away with wallpaper alone. But here’s a great trick: get several tongue and groove wooden planks in the shade you like and nail it directly into the wall! You can also use Styrofoam ceiling tiles to bring your dated ceiling to the modern age. These are one of those apartment hacks that demand a lot of elbow grease but the effort is well worth it! 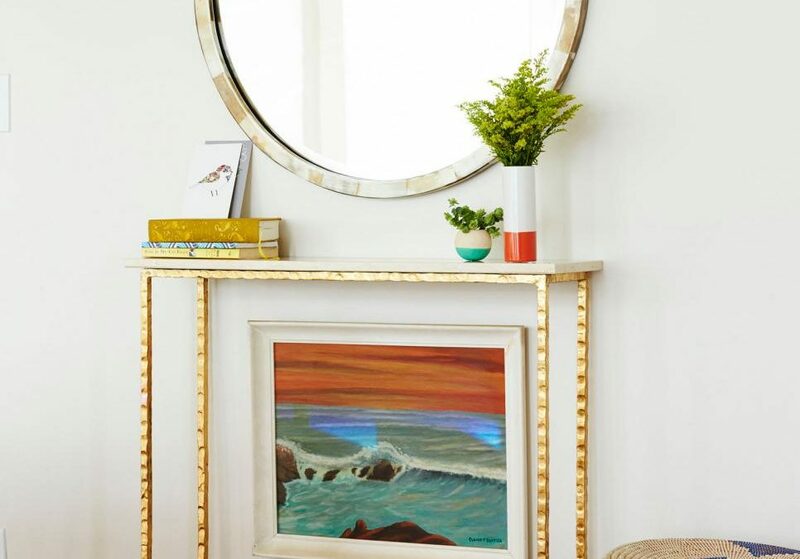 If the sight of your thermostat bugs you so much, try covering it up with a hinged artwork! 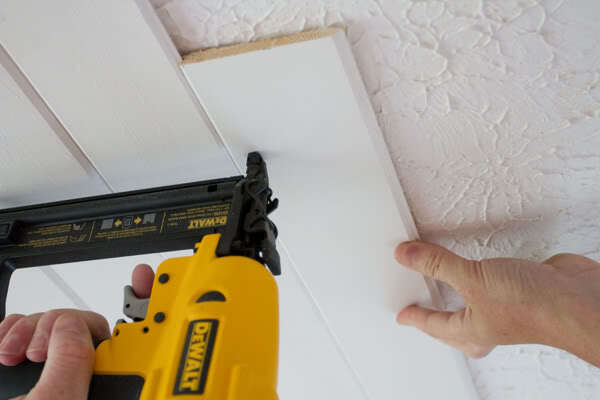 Using a screwdriver, add a couple of hinges to a framed photo or a painting large enough to conceal the spot. Then, install the hinged artwork on the wall and voila, the thermostat is out of sight! This trick also works for awkwardly placed AC and wall heater as well as unsightly stains or wall damage. Is your rusting radiator sticking out like a sore thumb? A radiator is common in old homes and if you have one, there are so many apartment hacks you can try to conceal this essential. You can give it a fresh coat of paint to match the walls or use a contrasting shade to turn your rusting radiator into a fabulous accent. You can also use a radiator cover to keep your heater out of sight or use an appropriately-sized bench to hide this ugly away. Click here for more styling ideas! Living with 3 rambunctious cats, I can tell you how hard it is ignoring the litter boxes all over my house. I’m sure my fellow cat owners can relate to this! 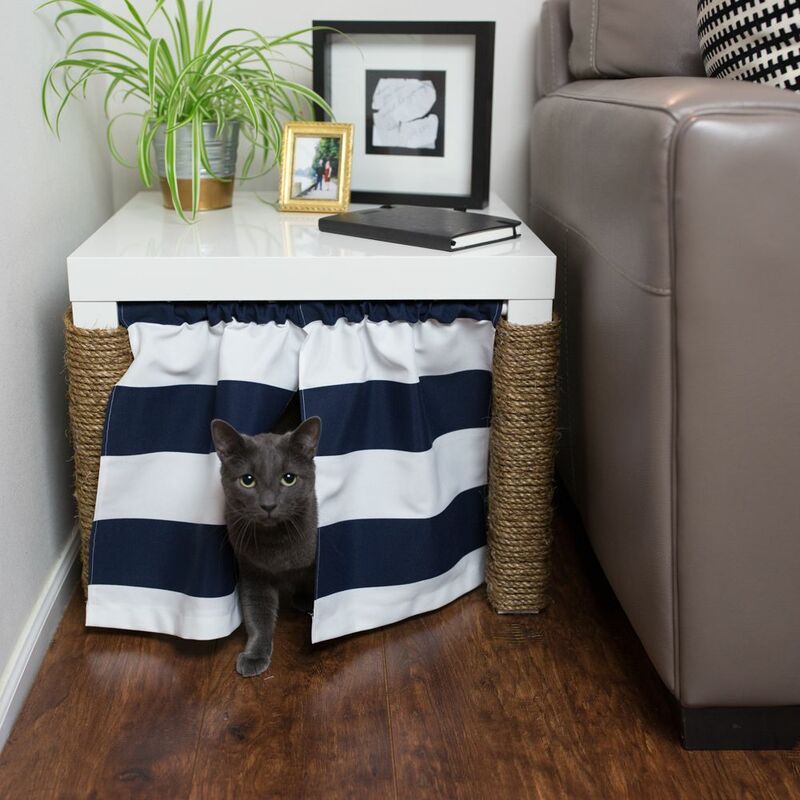 You can install mini curtains or an eye-catching skirt to hide the litterbox. Hiding the litterbox behind the curtain helps give ol’ Mr. Snugglebutt a little privacy while he, uh… take care of business. Installing the curtains is pretty easy too! 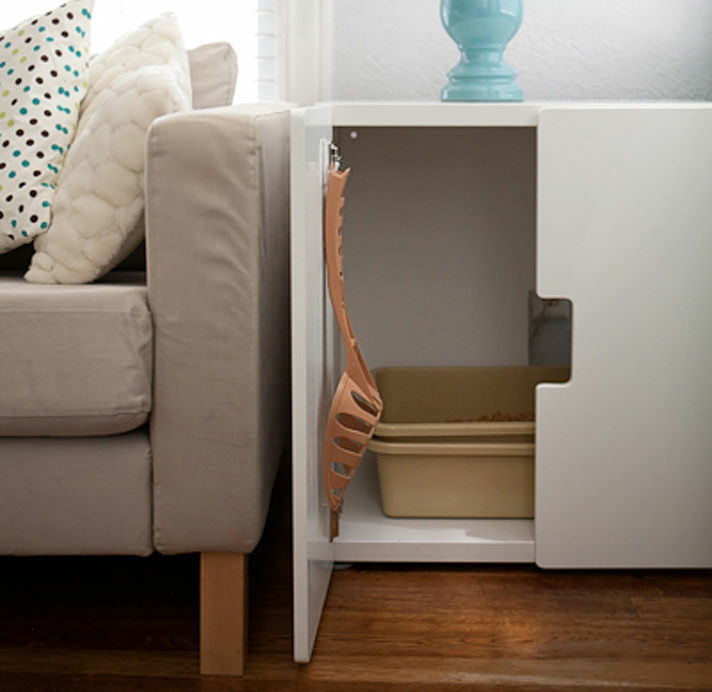 You can also hide the litter box and litter box supplies inside a low cabinet or under a side table. Having wi-fi at home is awesome but that clunky router sure is an eyesore! 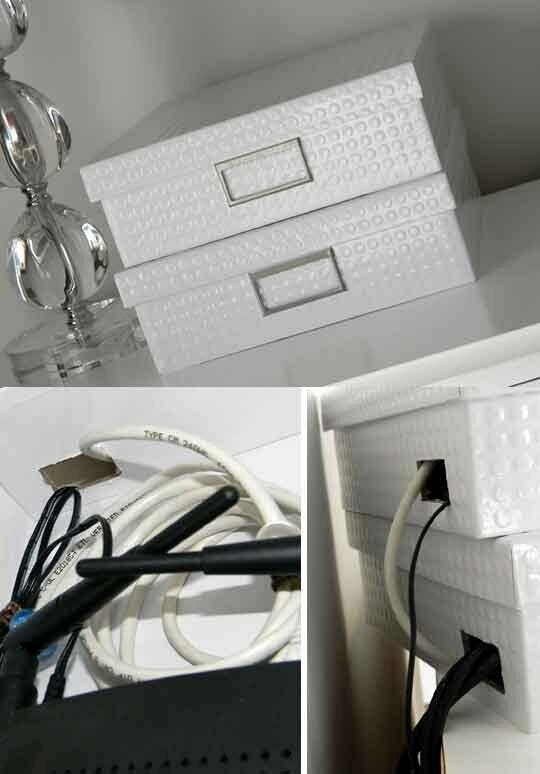 Hide the router by stashing it in a decorative storage box! Just make a couple of holes on the sides of the box using a box cutter (one for the cords, another for the antenna), pop the router inside, and organize the cords. Close the opening of the box and place it on any blank surface, add a couple of decors and voila, the router is no longer sticking out like a sore thumb! Pretty cool, huh? 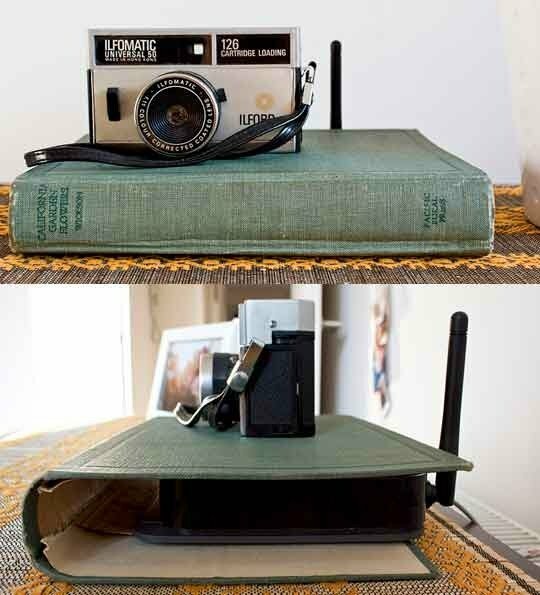 You can also hide the router using book spines! Use an old book that you’re no longer reading or one that you’re about to toss to the trash. Take the pages out, slide the router into the book cover and you’re done! A home, no matter how clean and organized, will look absolutely chaotic when littered with piles of dirty clothes! 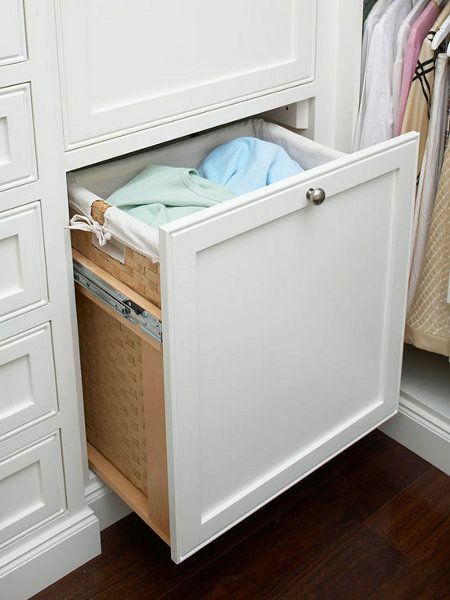 Keep your home spick and span by stashing the laundry baskets inside extra deep drawers. This is one of my favorite apartment hacks because it keeps the laundry bins from taking up too much floor space while the dirty clothes are out of sight. There are times when even the TV sticks out unattractively in a room. We’ve already outlined creative ways to hide the TV and my favorite involves hiding the TV behind a type of paneling or canvas cover. 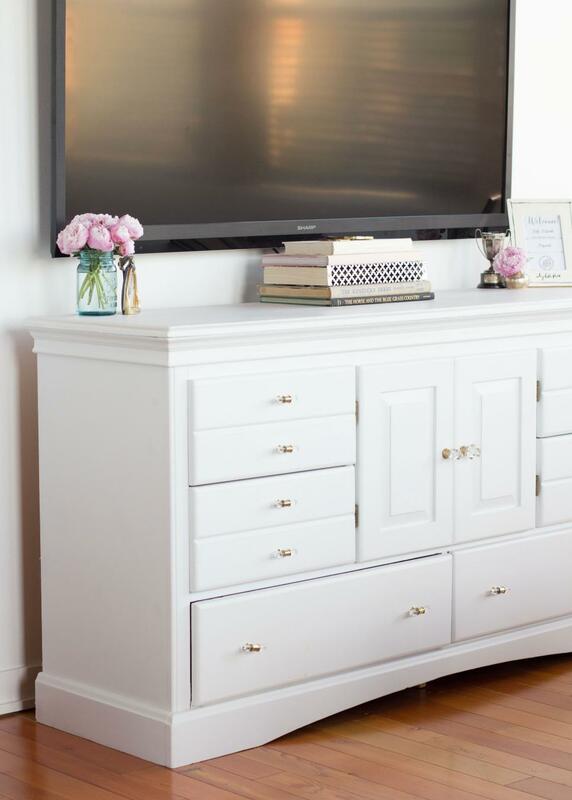 This is a great trick to try if say, your TV doesn’t go well with your interiors at all. Making a canvas cover for the TV is really easy, try this tutorial! Keep all your gadgets fully charged yet out of sight by making your own hidden charger station! Install an extension cord inside a cabinet drawer, drill holes to connect the extension cord to an electric socket and you’re done. 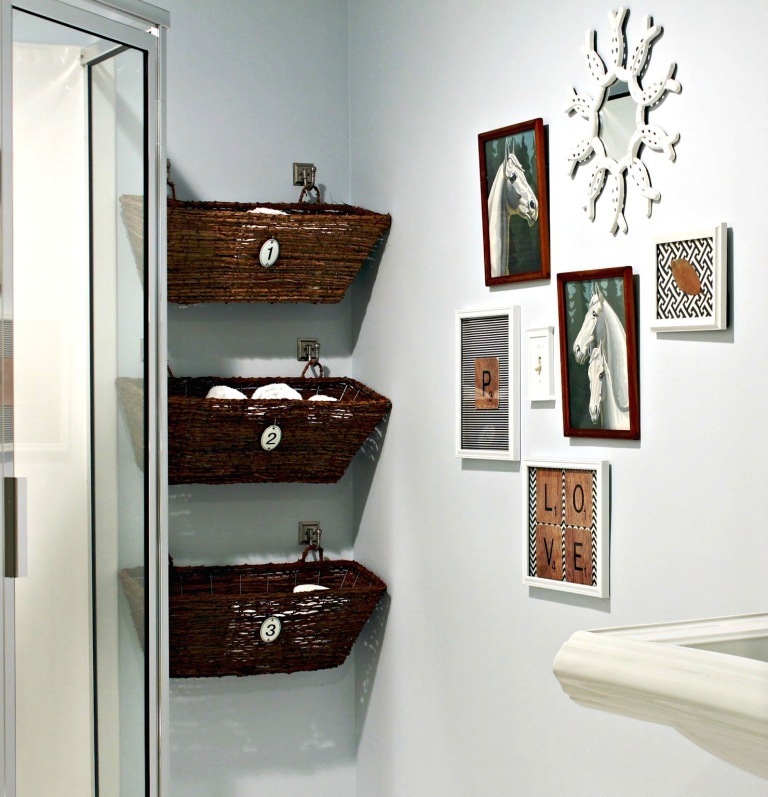 It’s a simple apartment hack that will add convenience and functionality to any room! 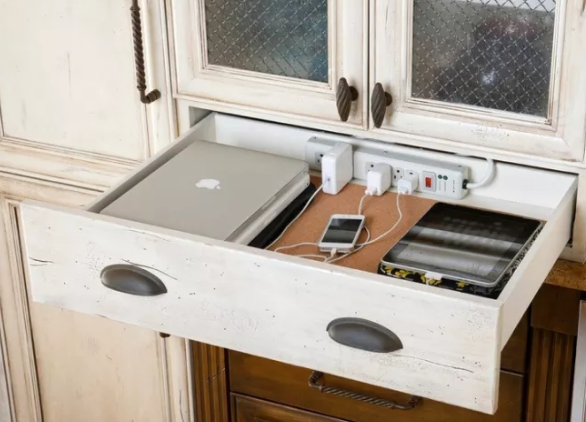 You can use your hidden charging station to hide your tablets and laptops too!